A competent, reputable plumber is as important to the functionality of your home as a reputable mechanic is to your car or a dentist to your teeth. When issues arise with your plumbing system, you should be able to rely on not only a professional plumbing contractor but on one that provides 24-hour plumbing in DuPont among their comprehensive services. You might have a number of plumbers you’re aware of in your area, or who you’ve seen driving around town. But, do you know what qualities are most important to look for in someone who is going to work on your plumbing? Before hiring someone, we urge you to read the guidelines we’ve provided below when choosing the right professional. Whether you realize it or not, the holidays are just around the corner. If you celebrate these holidays and plan on hosting guests in your home this season, then the following tips regarding protecting your plumbing are for you. If we can, we’re always happy to help our customers avoid any major issues with their living space—particularly, their plumbing. This has got to be one of the worst times of the years to have to deal with a plumbing problem after all. Although, there never really is a convenient time to have a plumbing problem! Your home’s water heater was built to last a long time, especially if you give it proper care and maintenance. However, no matter how well you take care of this system, eventually it will need an upgrade. The trick is to be able to identify when you’ll need an upgrade. The last thing you need is to find out your water heater has permanently failed, while taking a shower or doing something else that requires effective hot water usage. Keep reading to learn some of the warning signs to watch out for that indicated it’s time for you to go shopping for water heaters in Olympia, WA. Have you ever wondered how plumber can diagnose problems with pipes that are hidden from view? Chances are you haven’t, but now we’re inviting you to think about it. You might have a vision of plumbers busting into walls and totally up-heaving your home or property in order to find the source of a leak or a clog. Obviously, this is not an ideal situation, and something you’d like to avoid (and may avoid or put off calling for professional services if you suspect a problem with your plumbing in Yelm.) We’re here to put your mind at ease. The fact is, when your professional plumber is equipped with the right video pipe inspection equipment, and they have the skill and training needed for adequately using that equipment, you needn’t have these concerns. Keep reading, and when you suspect or discover problems with your pipes, give our team a call! When compared to parts of the east coast and the Midwest, our winters aren’t that cold, right? We don’t really need to worry about much as far as weather-related incidents. One wintertime problem you should be aware of though, is the threat of frozen pipes. And no, it’s not too early to begin thinking about this and preparing for potential plumbing issues. Historically, our temperatures rarely dip below freezing, but it does happen. 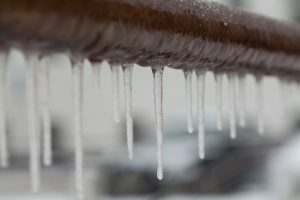 This is a reason to be even more diligent about this issue, because even though we don’t think about it as much as homeowners in colder climates, just a few days of temperatures at 30° or below this winter can result in frozen—and subsequently burst—pipes in your home. So, what can you do to prevent this? What Should You Know about Garbage Disposal Care? One of the great luxuries that modern plumbing has brought into many homes is that of the garbage disposal. And if you have one in your kitchen, you likely can’t even imagine cooking and cleaning up without it. Unfinished meals, kitchen scraps, or even spoiling leftovers are easily and hygienically disposed of, rather than sitting in your trash can and smelling up the place. But, could this dependence on your garbage disposal system get in you trouble? If you’ve ever found yourself frustrated by your garbage disposal getting jammed up, more than once, or you’ve had to call a professional Dupont plumber to fix the mechanism, then chances are you aren’t giving this appliance the proper care it needs. This isn’t your fault, though, if you don’t know what items and do not belong in your garbage disposal system to begin with! Keep reading to learn more. 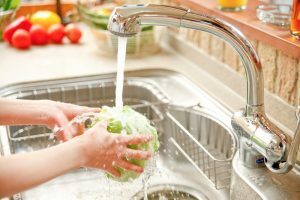 Posted in Plumbing | Comments Off on What Should You Know about Garbage Disposal Care? Water Heaters: Why Is Water Temperature So Important? Do you have a storage tank type water heater? This is the most commonly found water heaters in Olympia, WA in homes today, so we wouldn’t be surprised. 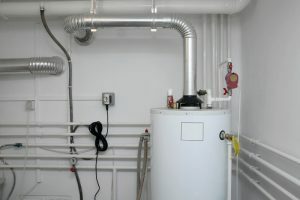 Even with recent developments in technology, resulting in the spread of systems such as tankless water heaters and heat pump water heaters, the storage tank water heater remains a reliable way to enjoy a steady supply of warm-hot water. So, what if you are one of those who has a storage tank water heater? Is there anything specific you should know. Well, you should know about your risks. Yes, these systems are ultimately safe, so long as they are professionally installed and properly cared for. But there are risks involved, too, such as the threat of scalding that comes with a water heater whose temperature is set too high. 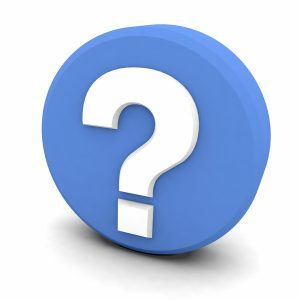 Posted in Water Heaters | Comments Off on Water Heaters: Why Is Water Temperature So Important? Low water pressure can be one of the most frustrating, and even perhaps alarming, of plumbing problems you might deal with. You may be in the shower when it happens, or washing your dishes, or doing any other daily task that depends on a pressurized stream of water. In some cases, there is a simple fix for your water pressure woes. In others, it may be necessary to call in a professional plumber in Tumwater, WA. 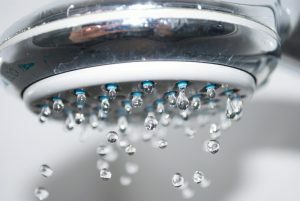 Keep reading to learn more about what causes low water pressure, and what you can do about it. 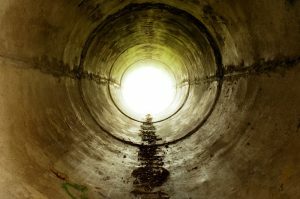 How Can You Tell If Your Sewer Line Is in Trouble? While you probably don’t think very much about it, your home’s sewer line is a vital part of your plumbing system, hygienically removing wastewater from the plumbing in your home and transferring it to the city’s sewer system. Your sewer line is most likely buried beneath your yard and property, which keeps it safe from damage and wear from the weather. Unfortunately, when trouble does arise, it requires a professional plumber in Yelm to manage. But fortunately, we have the most up-to-date equipment and training to handle the job with ease. We’re able to fairly easily access your sewer line, repair leaks, clean out clogs, and manage any other problems without even needing to excavate the pipe. 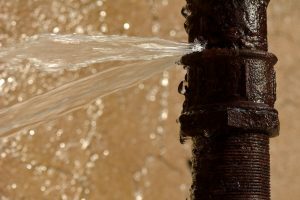 Posted in Plumbing | Comments Off on How Can You Tell If Your Sewer Line Is in Trouble?